Conversations with amazing people from around the world who are disrupting industries and creating positive global change. Wherever you are and whatever you’re doing, enjoy the podcast. 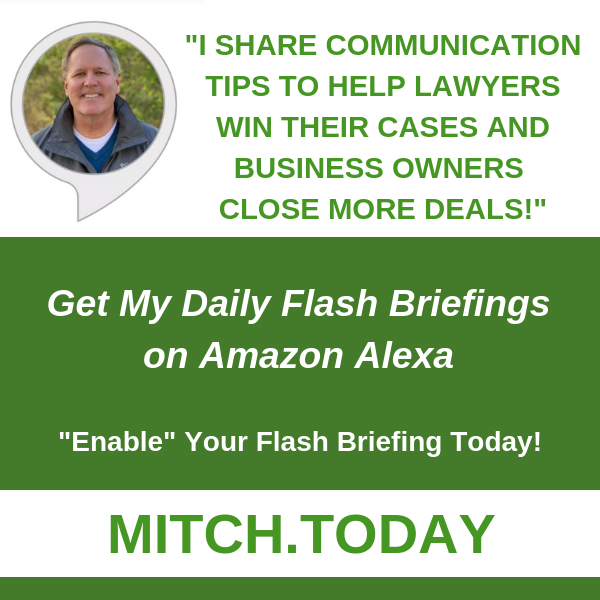 To help put the content of each podcast episode into context, click here to find out what leading digital, tech and business experts and influencers have to say about what Mitch is doing as an entrepreneur, lawyer and on the digital platforms. Listen to this episode on your favorite platform on iTunes, Spotify, Stitcher, Google Play, Soundcloud and Libsyn. These 7 principles will help you be faster than a speeding bullet, more powerful than a speeding locomotive, and help you leap tall buildings in a single bound on social media. While I can’t promise how you’ll look in red tights, I can promise you that it will take more than an evil villain named Lex Luther to keep you from being the next social media superhero in your business, industry and profession. Enjoy! If you like this episode of my podcast, please recommend and share with others. Also, please feel free to leave your ratings and feedback on your favorite podcast platforms. 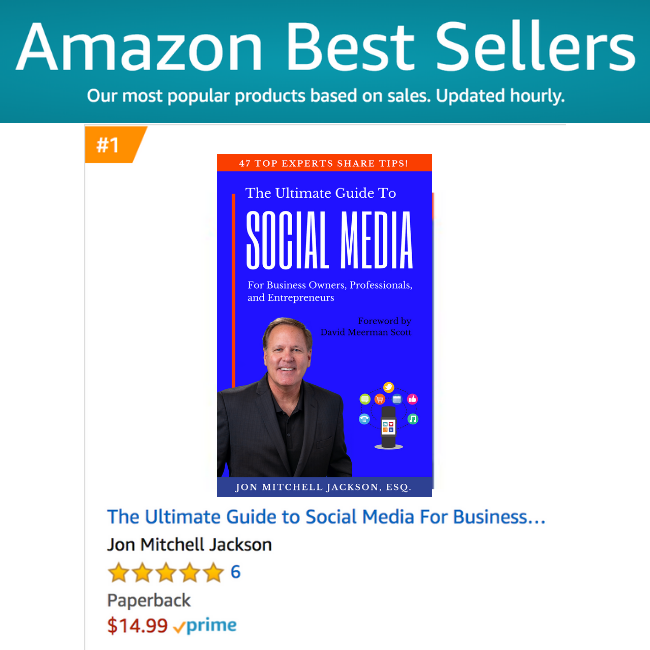 Remember to make sure to grab your copy of my new book on Amazon, (paperback, Kindle and Audible), stay connected right here at the MitchJacksonPodcast.com and listen/subscribe on iTunes, Spotify, Stitcher, Google Play, Soundcloud and Libsyn. Just like anyone else, social media influencers and brand ambassadors must comply with state and federal tax laws. In this episode, Certified Public Accountant, Robbie Casillas, shares important tax tips to help protect all the influencers and brand ambassadors in our social media community. Learn how to comply with the law, minimize taxes and maximize profits! I asked Robbie to join me because he’s a talented CPA who I know, trust and like. Robbie completed his education at Cal State San Bernardino, becoming a licensed CPA in California, Nevada, and Texas. He has been practicing CPA for over 23 years and really enjoys the relationship side of accounting, taking advantage of the opportunity to work directly with clients on a daily basis. He loves talking to people one-on-one, relating to their situations and partnering with them to overcome their challenges. Nothing gives Robbie more personal satisfaction than helping a client plan for their future and then watching them succeed. Connect with Robbie on Twitter, Instagram, Facebook and his website. If you like this episode of my podcast, please recommend and share with others. Also, please feel free to leave your ratings and feedback on your favorite podcast platforms. Remember to make sure to grab your copy of my new book on Amazon, stay connected right here at the MitchJacksonPodcast.com and listen/subscribe on iTunes, Spotify, Stitcher, Google Play, Soundcloud and Libsyn. While you’re here, get a copy of my new book and read JennyQ’s entire live video and live streaming chapter, along with tips in 51 other chapters written by 47 combined experts from around the world. You can grab your copy of the book on Amazon by jumping over to http://www.SocialMediaBook.online (Kindle, Paperback and Audible in Feb). If you like this episode of my podcast, please recommend and share with others. Also, please feel free to leave your ratings and feedback on your favorite podcast platform. Remember to make sure to grab your copy of my new book on Amazon and stay connected right here at the MitchJacksonPodcast.com and listen/subscribe on iTunes, Spotify, Stitcher, Google Play, Soundcloud and Libsyn. If you liked this episode, please recommend and share with others. Also, please feel free to leave your ratings and feedback on your podcast favorite platform. Remember to make sure to grab your copy of my new book on Amazon and stay connected right here at the MitchJacksonPodcast.com and listen/subscribe on iTunes, Spotify, Stitcher, Google Play, Soundcloud and Libsyn. If you liked this episode, please recommend and share with others. Also, please feel free to leave your ratings and feedback on your favorite platform. Remember to also make sure to grab your copy of my new book on Amazon. Please also stay connected right here at the MitchJacksonPodcast.com and listen/subscribe on iTunes, Spotify, Stitcher, Google Play, Soundcloud and Libsyn. Are you using the 3-1-3 Method to connect with others on social media? Are you tapping into the power of the 4 Vs to build better business relationships and close more deals on the digital platforms? Don’t worry if you’re not familiar with these approaches. Most people don’t have a clue. But after listening to this podcast with Ryan Foland, you will. If you liked this episode, please recommend and share to help others find it. Also, please feel free to leave your ratings and feedback on iTunes, Stitcher and for the new book, on Amazon. Please also stay connected right here at the MitchJacksonPodcast.com and listen/subscribe on iTunes, Spotify, Stitcher, Google Play, Soundcloud and Libsyn. During the next 20 minutes, please join Stephanie and me on this podcast as we discuss some of the highlights of her Facebook chapter and how you can use Facebook to help market your business and brand. If you liked this episode, please recommend and share to help others find it. Also, please feel free to leave your ratings and feedback on iTunes, Stitcher and for the new book, on Amazon. Please also stay connected right here at the MitchJacksonPodcast.com and subscribe on iTunes, Spotify, Stitcher, Google Play, Soundcloud and Libsyn. If you liked this episode, please recommend and share to help others find it. Also, please feel free to leave your ratings and feedback on iTunes and Stitcher. Please also stay connected right here at the MitchJacksonPodcast.com and subscribe on iTunes, Spotify, Stitcher, Google Play, Soundcloud, Libsyn and more! If you liked this show, please recommend and share to help others find it. Also, please feel free to leave your ratings and feedback on iTunes and Stitcher. Please also stay connected right here at the MitchJacksonPodcast.com and subscribe on iTunes, Spotify, Stitcher, Google Play, Soundcloud, Libsyn and more! Sammi Tucker: 2016 US Paralympic Athlete! Samantha Tucker aka “Sammi” Tucker is a 2016 US Paralympic athlete who represented the United States in the Rio games. She’s also a proud United States Air Force Veteran who took up the sport of archery after a devastating motorcycle crash which resulted in Sammi undergoing multiple surgeries and losing her arm. Sammi joins me today on the podcast to talk about many different exciting things. For example, we chat about her life challenges and how ending up at the bottom of a ditch changed her life for the better. Tapping into her expertise as a motivational speaker, resilient mindset expert, trainer, consultant, author and public speaking coach, Sammi also shared approaches and skills to help all of us shoot our life arrows straight and on target. And when those arrows fail to hit the targets we aim for, how to pick them up, reload and do it again until we get it right. In addition to the above, Sammi also shared a project she’s excited about. It involves the Lakota Nations Historic Trauma Healing Team and what she and others are doing to provide the Lakota Nations with new skills allowing them to improve their lives. I know you’re going to enjoy meeting this extraordinary human being. Please join me in welcoming Sammi Tucker to The Mitch Jackson Podcast! You can connect with Sammi at SammiTucker.com and support what she and others are doing via #WoundsIntoWeapons and #WoundsIntoWisdom. Donations to GoFundMe can be made here! If you liked this show, please recommend and share to help others find it. Also, please feel free to leave your ratings and feedback on iTunes and Stitcher. Please also stay connected right here at the MitchJacksonPodcast.com and subscribe on iTunes, Stitcher, Google Play, Soundcloud and more! Listen to this episode on iTunes, Stitcher, Google Play, Soundcloud and Libsyn. 23+ Legal and Business Tips for Livestreamers (Live Video) Via JennyQ! Listen to this episode on your favorite platform on iTunes, Stitcher, Google Play, Soundcloud and Libsyn. 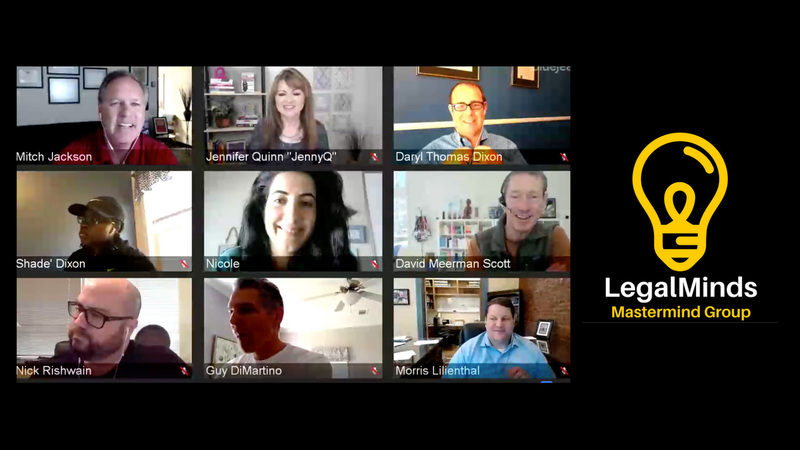 Jennifer Quinn aka Jenny Q is a livestreaming speaker, host and author of the new book, “Leverage Livestreaming to Build Your Brand: Start, Master, and Monetize Live Video” We’re on and offline friends and I’m honored to be one of the professionals featured in her book. When JennyQ reached out to see if I’d be interested in jumping on her popular weekly live video show and share live video legal tips, I didn’t think twice. 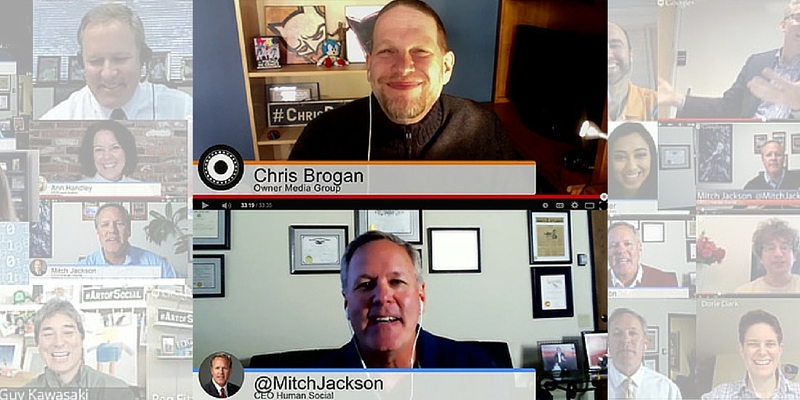 The end result is a value packed conversation where Jennifer and I shared 23+ legal and business tips to help keep all livestreamers stay safe and happy on the digital platforms. I hope you enjoy this interview as much as I did. Please feel free to share this episode with friends who are using live video and livestreaming in their online business efforts. Connect with Jennifer Quinn at JennyQLive and my information is right here at the site! Listen to this episode on your favorite platform on iTunes, Stitcher, Google Play, Soundcloud and Libsyn. Click here for written transcript version. Haben Girma is the first deaf-blind person to graduate from Harvard Law School, and a leading advocate for equal opportunities for people with disabilities. While Haben is busy traveling around the world consulting and public speaking and teaching clients the benefits of fully accessible products and services, today, she’s took a break from her travels and is joining us from San Francisco for this chat. Listen to this episode on iTunes, Stitcher, Google Play, Soundcloud and Libsyn. Written transcript here. Sue Scheff is a nationally-recognized author, speaker, parent advocate and internet safety expert. Today, we chat with Sue about her new book, Shame Nation, with forward by Monica Lewinsky. Sue’s new book focuses on the growing global epidemic of online shaming, bullying and hate, and shares valuable resources to help victims. I’m honored to be a consulting expert on the book. Kim Garst Talks Social Media and Live Video! If you’re ready to learn more about what works on social media and live video, then you’re going to enjoy today’s episode. We also spend some time chatting about Anchor (audio platform) and how you can repurpose audio content on your other platforms. Periscope and Facebook live strategies are also discussed in detail. Grab a pen and paper because class is in session and the information that is being shared by this small town southern gal is going to want you to push everything aside and take notes! Once again, I’m excited that Jennifer Hoverstad joined me to co-host this episode. If you liked this show, please recommend and share to help others find it. Also, please feel free to leave your ratings and feedback on iTunes and Stitcher. Please also stay connected right here at the MitchJacksonPodcast.com and subscribe on iTunes, Stitcher, Google Play, Soundcloud and more! Meet Amy Cuddy. Her 2012 TED Talk, “Your Body Language May Shape Who You Are,” has been viewed more than 42 million times and is the second-most-viewed TED Talk. Amy is a social psychologist and bestselling author and an expert on the behavioral science of power, presence, and prejudice. She earned her PhD from Princeton University and has served on the faculties of Harvard Business School and Northwestern University. Her book “Presence: Bringing Your Boldest Self to Your Biggest Challenges” is a New York Times, Washington Post, USA Today, Wall Street Journal, bestseller and has been published in 29 languages. I’m excited that Jennifer Hoverstad joined me to co-host this episode. If you liked this show, please recommend and share to help others find it. Also, please feel free to leave your ratings and feedback on iTunes and Stitcher. Please also stay connected right here at the MitchJacksonPodcast.com and subscribe on iTunes, Stitcher, Google Play, Soundcloud and more! Sponsor: Today’s episode is brought to you by David Meerman Scott and intended to introduce his new business marketing course to you, which is titled, “New Marketing Mastery”. In his course, David shows you how to bring your marketing into alignment with the way people buy. Visit NewMarketingMastery today for all the details. Shama Hyder is a visionary strategist for the digital age, a web and TV personality, a bestselling author, and the award-winning CEO of The Marketing Zen Group. She’s been dubbed the “Zen Master of Marketing” by Entrepreneur Magazine and the “Millennial Master of the Universe” by FastCompany.com. In addition to many other awards and recognitions, Shama has been honored at both the White House and The United Nations as one of the top 100 young entrepreneurs in the country. My amazing co-host from TheShow.live, Jennifer Hoverstad, joins us for this episode and I know you’re going to enjoy this week’s episode. By the way, if you liked this show, please recommend and share to help others find it. Also, please feel free to leave your ratings and feedback on iTunes and Stitcher! Please also stay connected right here at the MitchJacksonPodcast.com and subscribe on iTunes, Stitcher, Google Play, Soundcloud and more! Joel Comm is a live video marketing expert, author, keynote speaker, entrepreneur and consultant. He’s been on the frontlines of live video online since 2008 and is a recognized leader and expert in live video marketing. His work has appeared in The New York Times, on Jon Stewart’s The Daily Show, CNN, MSNBC, Fox News, and many other places. Today with the help of my talented co-host, Jennifer Hoverstad, of TheShow.live, we chat with Joel, a New York Times best-selling author of 15 books and a contributor to Forbes, Inc., Entrepreneur and the Social Media Examiner, about his journey, work, and success. During the episode, Joel shares his entrepreneurial journey to help everyone listening move forward in their business and life. He also offers several take-a-ways about the live video world and what to expect in the years to come. As for me, I believe that if you listen carefully, you’ll also walk away with good glimpse of the mindset of a successful and happy online entrepreneur. If you enjoyed this podcast, please recommend and share to help others find it. Also, please feel free to leave your ratings and feedback on iTunes and Stitcher! Please also stay connected right here at the MitchJacksonPodcast.com and subscribe on iTunes, Stitcher, Google Play, Soundcloud and more! Joe Pulizzi is considered by many to be the “godfather” of content marketing. He’s the founder of the Content Marketing Institute, a leading education and training organization for content marketing. CMI puts on Content Marketing World, the largest in-person content marketing event in the world. 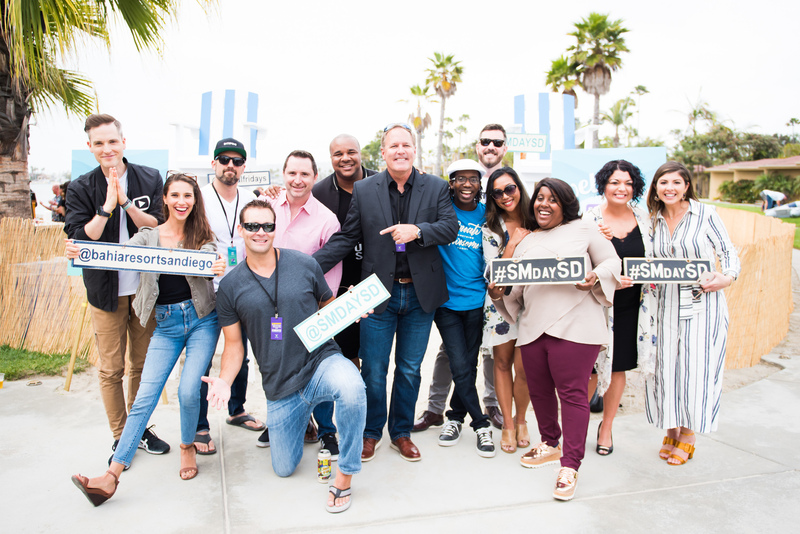 It’s the one event where you can learn and network with the best and the brightest in the content marketing industry. Joe is the winner of the 2014 John Caldwell Lifetime Achievement Award from the Content Council. He is the author of five books, including his latest, Killing Marketing coming September 2017. His third book, Epic Content Marketing was named one of “Five Must Read Business Books of 2013” by Fortune Magazine. You can find Joe on Twitter @JoePulizzi. If you ever see Joe in person, there’s a good chance he’ll be wearing orange. Bryan Kramer is a renowned social business strategist, global keynote speaker, executive coach, and bestselling author. He’s also the CEO of Purematter Inc. and world’s foremost leader in the art and science of sharing, and is responsible for the #H2H human business movement in marketing and social. Bryan’s first book “There is No B2B or B2C: It’s Human to Human #H2H” rose to the #1 top selling spot in Business Books on Amazon in its first week. His latest book, “Shareology: How Sharing is Powering the Human Economy” made the USA Today’s Top 150 Book List the week of its release, as well as #1 on Amazon in four categories including Business & Planning. 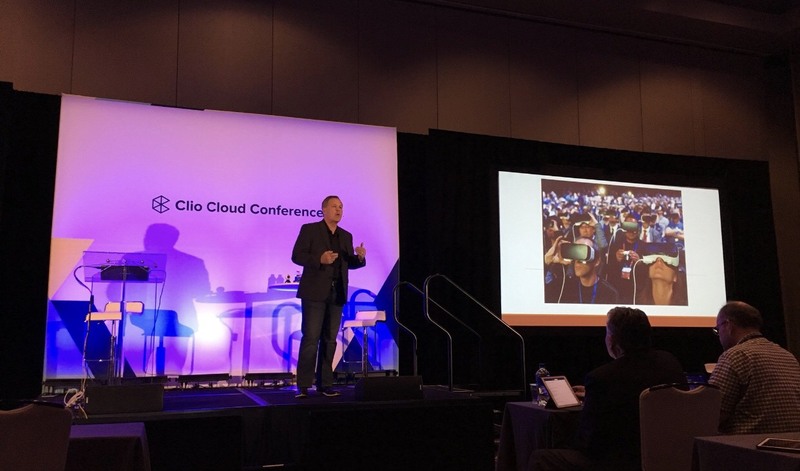 Bryan has received many recognitions include being named One of the Top 50 Social CEOs on Twitter Globally – Huffington Post; A Top 25 Influencer to Follow by Forbes; and one of the 100 Most Influential Tech People On Twitter by Business Insider. In this podcast episode, my special co-host, Jennifer Hoverstad, and I chat with Bryan about AR, VR, livestreaming, personal branding, that point in time on social media when the real conversations take place, embracing your Focker, and so much more. David was kind enough to mention me in his last two books, “The New Rules of Marketing & PR” and, “The New Rules of Sales and Service,” and for that, he’ll always have a special place in my heart when it comes to marketing, branding and digital. Of note is the fact that David’s book, The New Rules of Marketing & PR, now in its 5th edition, has been translated into 28 languages and is used as a text in hundreds of universities and business schools worldwide. He also is proud to have co-authored Marketing the Moon (now in production as a feature-length film) and Marketing Lessons from The Grateful Dead (David’s a huge GD fan!). I’m honored to be briefly sharing the stage with David in Las Vegas at an upcoming Tony Robbins Business Mastery Event. If you’re going to be at the event in August, please reach out so we can say hi and spend some time together! During today’s podcast episode, I’m joined by my TheShow.live co-host, the always amazing Jennifer Hoverstad. Another special treat was having Nick Rishwain of Experts.com stop by for Q&A. Together, we all enjoyed our conversation with David about Antarctica, newsjacking, social media, and everything else in between. Seth Godin is the author of 18 books that have been bestsellers around the world. He writes and speaks about the post-industrial revolution, the way ideas spread, marketing, fear, quitting, leadership and most of all, changing everything. You might be familiar with his books Linchpin (one of my favs), Tribes, The Dip and Purple Cow. During our chat, Seth shares tips for dealing with fear and distinguishes between the difference of using a map vs a compass. He reminds us about the lizard brain we all are born with and why understanding ducks and spiders is so important to each of us finding success. We were also joined by special guests Chris Brogan and Professor Niklas Myhr and I think you’re going to enjoy today’s episode! James Altucher is an American hedge fund manager, entrepreneur, bestselling author, venture capitalist and podcaster. He has founded or cofounded more than 20 companies and is not shy to say he failed at 17 of them. During his crazy business career, he’s made, lost, and then made again, tens, if not hundreds of millions of dollars. Today, he’s a better human being because of his life experiences. Subscribe, Share, Rate and Review! Don’t miss a single episode! 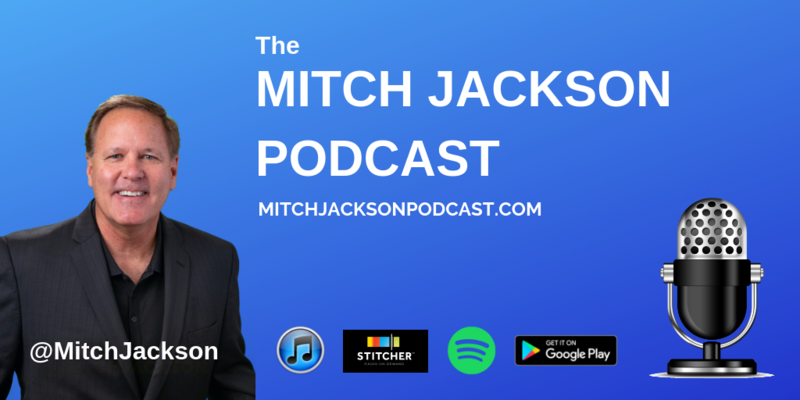 Connect and subscribe to Mitch’s podcast on your favorite platforms such as iTunes, Stitcher, Google Play, Soundcloud, and Libsyn (by the way, if you like what you hear, please click here to share your rating and review with dozens of other listeners).